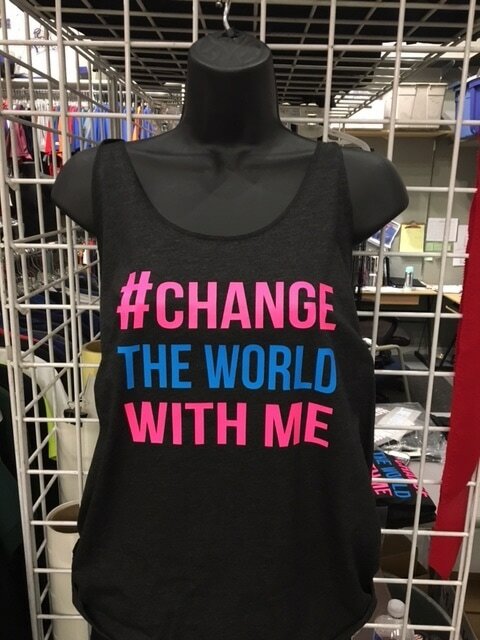 First and foremost - Changing the World! My husband and I can't seem to get enough of finding ways to better ourselves, our business', and the people and community around us. We are now looking at other opportunities to grab onto something tangible for others - something that can go as far as the reaches of the human heart . . . everywhere. I have a dream that is not confined or tied down by any rules or laws - and neither myself or Greg want to put any limits to what we can do to change the world. There was a quote that I came across last year that stuck with me from the moment I read it and now it is written on my wall and every other place that I can possibly put it to remind myself. 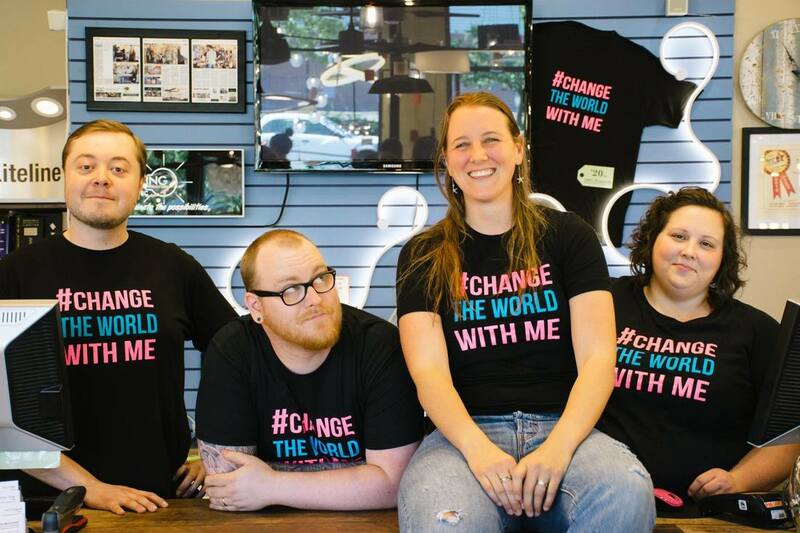 Changing the world can seem like a daunting and impossible idea but we truly believe it is possible. The basic premise behind what we are doing is this : We are trying to take a simple idea and a basic concept and allowing the bold colors and "crazy" notion that we CAN in fact change the world together, become a reality. 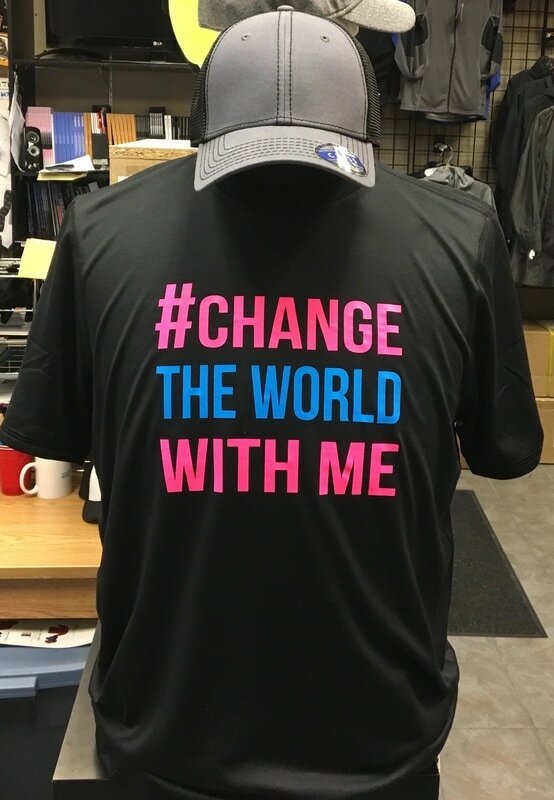 ​ So to do that, we are taking the simple hashtag #changetheworldwithme and putting it on T-Shirts and Tank Tops, to start and see where it grows from there to hopefully add different types of merchandise to put out there - and we want ALL the profits to charities and causes. The shirts and tank tops will be $20 each and the hope is to get at least $5 from each shirt to go to a charity. We would love ideas and input going forward as well! We have not put any limitations on his - but needed to start somewhere! We hope you join in with us and our quest to move mountains and change peoples lives.